On Saturday night, February 23rd, Live Nation and Hard Hitting Promotions will present a historic fight card at The Met Philadelphia. The show will be the Inaugural Met Philadelphia Boxing Series. 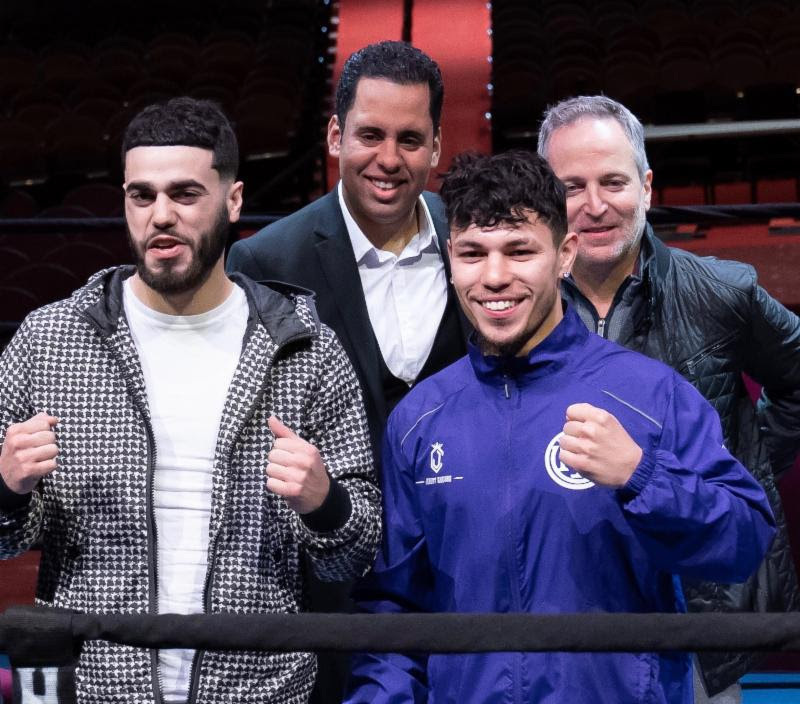 In the mouth watering main event, undefeated Jeremy Cuevas meets fellow undefeated Steven Ortiz in an eight-round battle of highly regarded Philadelphia-based lightweights. “This is an unbelievable fight to kick off this series,” said Manny Rivera of Hard Hitting Promotions. “This fight between Cuevas and Ortiz is a fight that is fitting for Philadelphia. “It is the two top prospects fighting each other to prove who is the truly the number-one fighter in the city. It is the core that has made Philadelphia boxing a legacy. The 23 year-old Cuevas has emerged as one of the top prospects in the talent laden city. Known for his pressure style that has helped Cuevas reach an undefeated mark of 11-0 with eight knockouts, The southpaw is set to take on his toughest test to date. Ortiz, 25 years-old is 9-0 with three knockouts. The five-year professional has not shied away from fighting top competition as evidenced by his last three victories over Tyrome Jones (4-0), Joshua Davis (11-2), and his last outing when he took an eight-round decision over Wesley Ferrer (12-0-1) on September 21st in a bout that was nationally televised on ShoBox: The New Generation on SHOWTIME. A packed undercard is being put together that will feature some terrific talent. In a fight for the Pennsylvania State Junior Welterweight title, Samuel Teah (15-2-1, 7 KOs) of Philadelphia takes on Tre’Sean Wiggins (10-4-1, 6 KOs) of Newbergh, NY in a eight-round bout. In an eight-round bout, Malik Hawkins (13-0, 9 KOs) of Baltimore battles Gledwin Ortiz (6-2, 5 KOs) of Bronx, NY in a welterweight bout. Branden Pizarro (13-1, 6 KOs) of Philadelphia fights Zack Ramsey (8-5, 4 KOs) of Springfield, Mass. in a junior welterweight contest. Gadwin Rosa (9-0, 7 KOs) of Ocala, FL takes on an opponent to be named in a super featherweight. Emmanuel Rodriguez (3-0) of Newark, NJ will take Jose Lopez (0-0-1) of New York in a bantamweight fight. Seeing action in fights against opponents to be named are light heavyweight Benny Sinakin (2-0, 1 KO) of Philadelphia; lightweight Christian Tapia (7-0, 6 KOs) of Coamo, PR and female sensation Tamar Israeli (2-0, 2 KOs) of Tel Aviv, Israel in a super featherweight bout. TICKETS are $100, $75, $50 & $25 and can be purchased at Ticketmaster.com or Please call 1-800-745-3000 to order your tickets by phone.